Where you will arguably find one of the largest ranges of braais and fireplaces under one roof. Does the multitude of choices between open or closed combustion wood fires, Gas or Bio Ethanol fires have you confused? Are you wondering which would suit your lifestyle best? 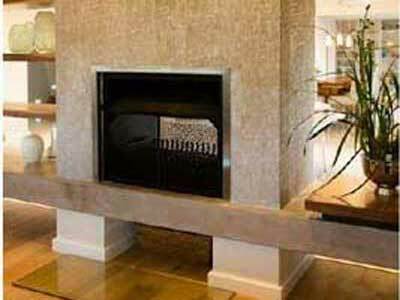 The type of fireplace that will work better for you depends on how you plan on using your fireplace: for primary heat, the ambiance or as a designer piece? Do you like the aroma of an open wood fire or would you prefer no smell at all? Below are some answers to your questions. Obviously we can't address all factors here, so for more detailed information speak to our experienced sales personnel. There is nothing as cosy and soothing, and creates an ambiance, like the dancing of flames and crackling of wood in an open fireplace! Factory-built metal fireplaces solve the smoky fireplace problem of out-dated masonry fireplaces, because they get hot and stay hot until the fire fades to a coal bed and goes out. All Thermo units have dampers as standard. This type of fireplace will initially be cheaper to buy and install than closed-combustion units. Although closed (slow) combustion units are initially more expensive to buy and install, these units are generally between 75% and 80% efficient, delivering more heat for less wood, and pumping less pollutants into the air. Designers are now also creating units that can fit into any architectural design, whether ultra-modern, traditional, retro and anything in-between. The newer models are now also moving towards larger glass doors to give unobstructed views of the flames. Flip a switch; have a fire. That’s the key appeal of a gas fireplace insert. You still enjoy “real” flames, but without the hassles. There is no firewood to stack, no tending the fire and no dirty ashes to clean out. Unlike old decorative gas fireplaces, today’s gas inserts are heat-producing dynamos – being between 75% and 99% efficient. Available as vented or ventless units – the choice will depend on where you want to place the unit. Bio Ethanol (aka Ethyl Alcohol or Bio-Fuel) is an alcohol derived from plant material and is a renewable, green energy source. Since no harmful emissions are released – when it burns it releases water vapour which means it actually humidifies the air – this makes bio-ethanol the environmentally friendly alternative. 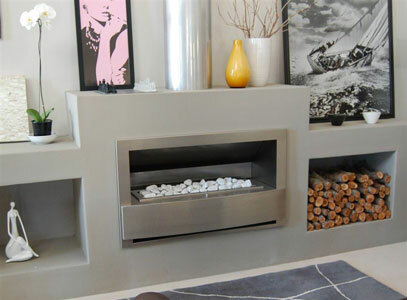 Because a Bio-Fuel fireplace does not need a chimney or gas pipes, it can easily be installed in those awkward places. At Vulcan Heat Studio we strive to bring the consumer the largest range of good quality products at competitive prices, coupled with sound knowledge and a wealth of experience. Above all, we promise to be honest in all our dealings and provide reliable service at all times. We sell quality braais and fireplaces from no less than 5 of the largest local manufacturers. 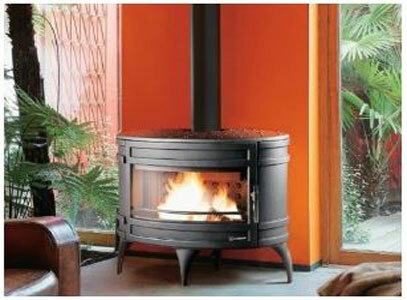 We are also resellers of 15 different ranges of imported fireplaces, from some of the largest importers.